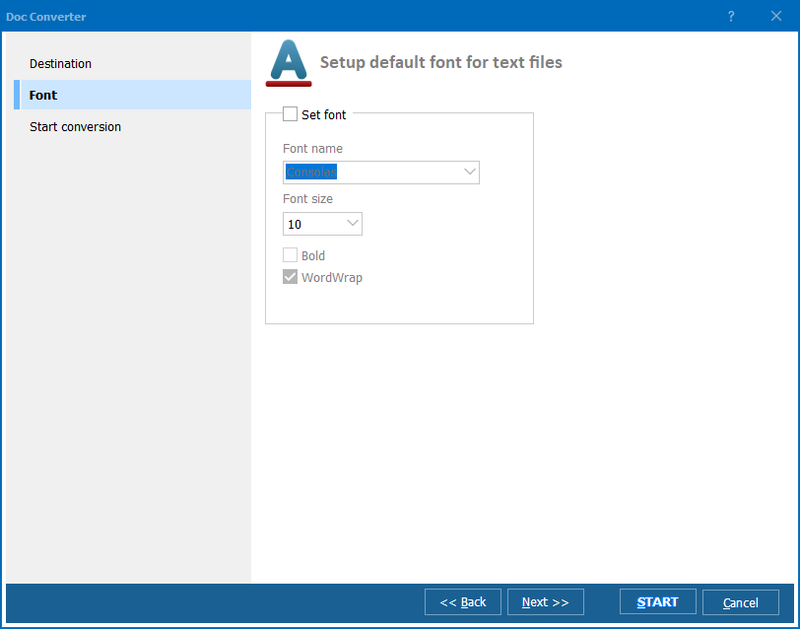 Set XHTML as target format. 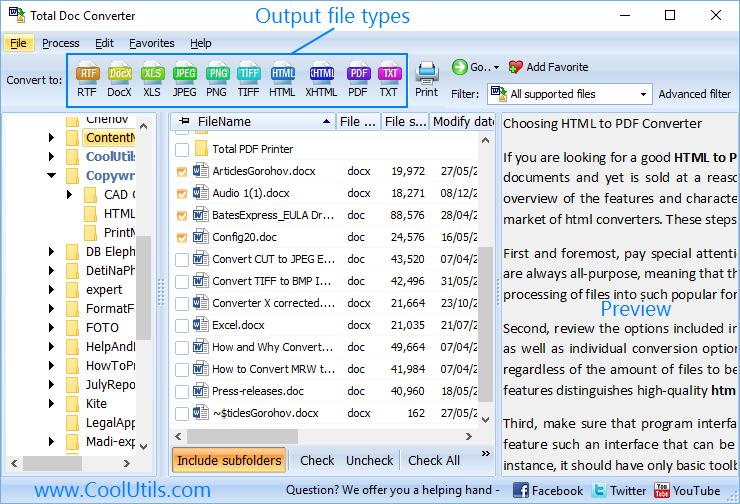 On the top bar of the converter, you’ll see numerous buttons with file formats. 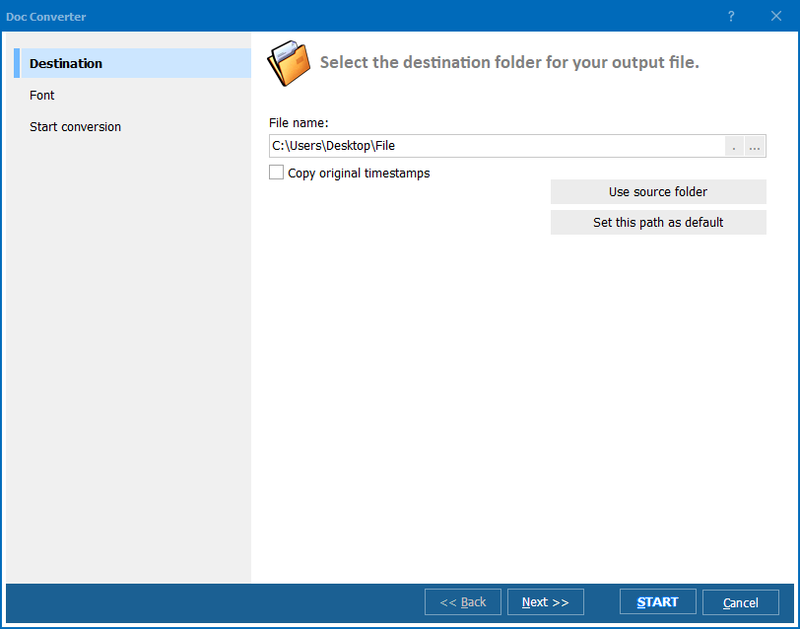 Simply click on the button that says “XHTML” to set it as output format. 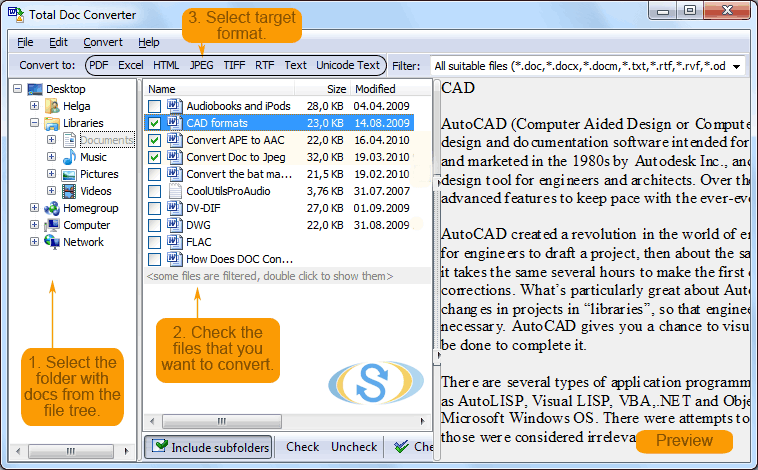 Click on the “Start!” button to launch the automatic process of file conversion. 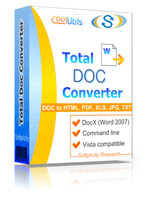 Convert DOC to XHTML and to other formats.